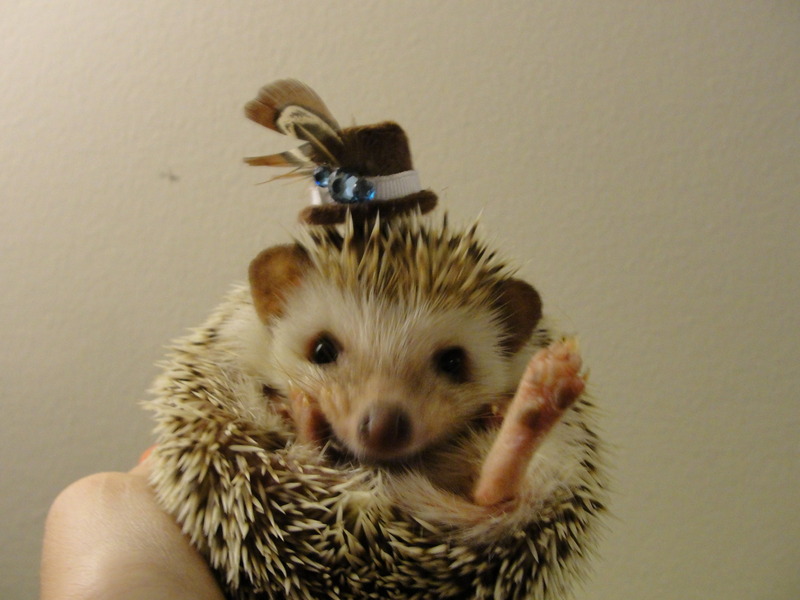 Another party hedgehog with a very cute hat. 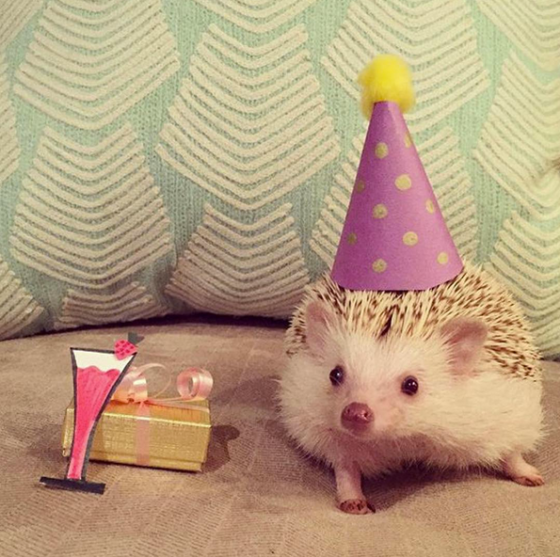 Cocktail anyone? 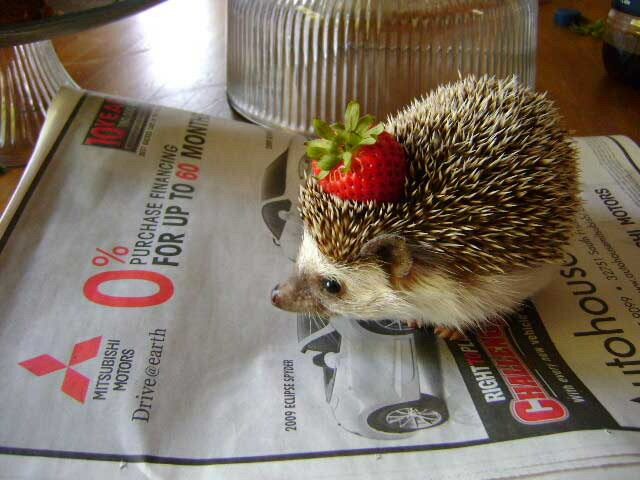 I hope he doesn’t spike your drink! 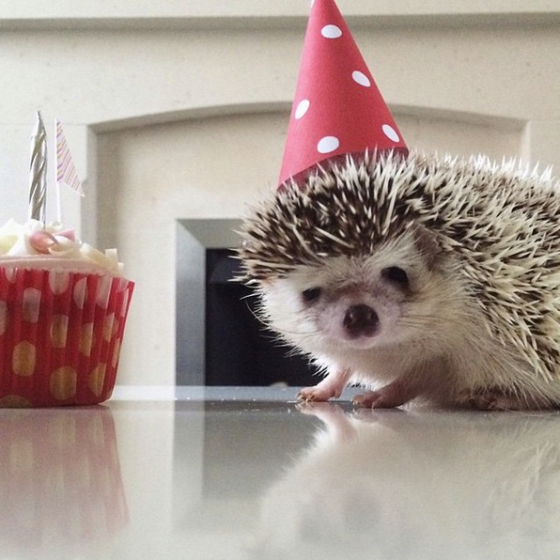 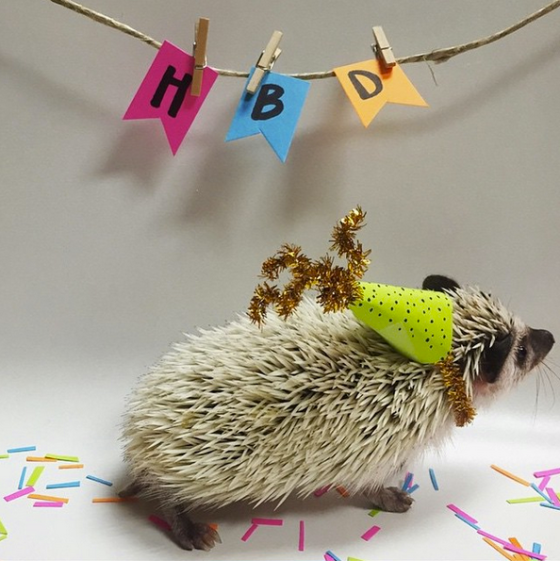 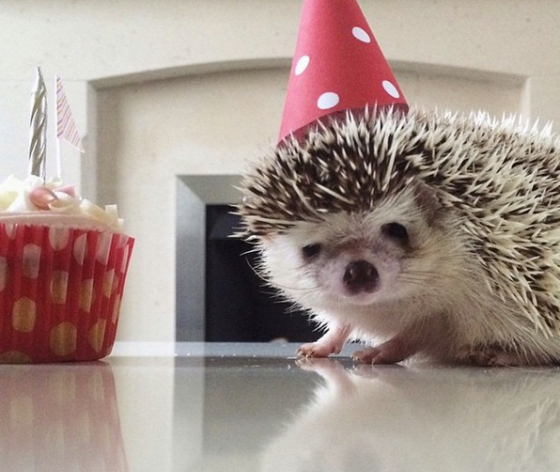 What’s with all these party hats Mrs Hedgehog? 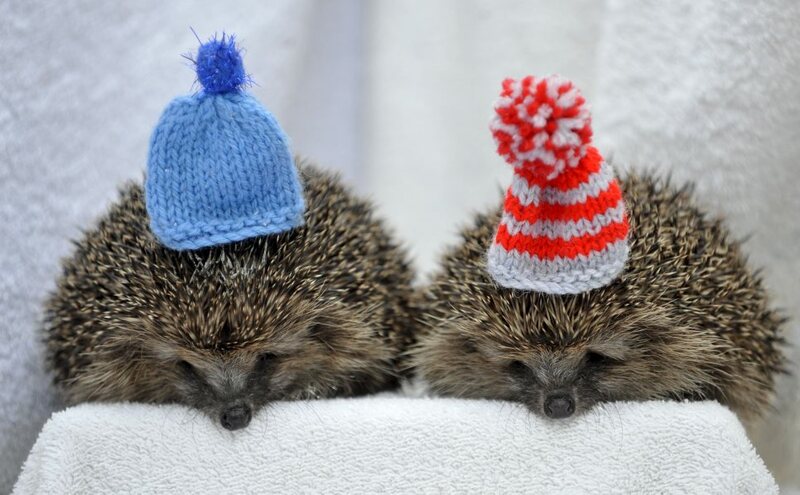 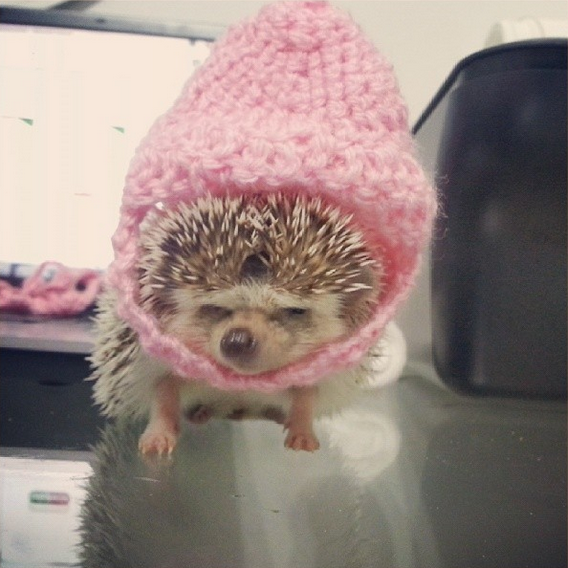 Is there anything cuter than this Hedgehog / wooly hat combo? 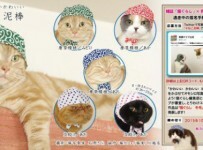 IT’s OFFICIAL – The Japanese Love Dressing Their Cats In Bandanas!